The beginning of 2018 has seen small steps by both Koreas towards reconciliation, or so we are led to believe. In reality, North Korea’s New Year’s Day address was a ploy “not only to drive a wedge in the US-ROK denuclearization policy but also to convince South Korea to provide the economic relief that it so desperately needs.” There appears to be collective amnesia inside the Moon Jae-in administration, most likely born out of optimism, regarding previously failed attempts at reconciliation. These efforts, known as the Sunshine Policy, were pursued by the Kim Dae-jung and Roh Moo-hyun administrations, but were marred by events like the Kim Dae-Jung administration paying North Korea $186 million dollars to attend the June 2000 Inter-Korean summit, the first and second Battle of Yeonpyeong naval skirmishes, and a policy of providing aid without requiring reciprocity. It is well-known that North Korea provokes and threatens as a means to extract concessions and only returns to talks when the regime needs aid and the Pyeongchang Winter Olympics are no different. If Kim Jong-un were truly interested in reconciliation via participation, he would have accepted Moon's offer in November rather than in January. His decision to attend now is a power play to push Seoul and Washington apart when he has the most leverage, capitalizing on the recent Hwasong-15 test and the missile’s ability to reach Washington DC. US National Security Advisor H.R. McMaster was in San Francisco on January 13th and 14th for secret meetings about North Korea with the director of the Japanese national security council and South Korean representatives. Those attending agreed “that resumed communications by the North Koreans are diversions and don’t have any effect on its determined pursuit of nuclear weapons.” The DPRK has even gone as far as urging the US and South Korea to permanently stop joint military drills in the North Korean government’s state-run daily newspaper Minju Joson. 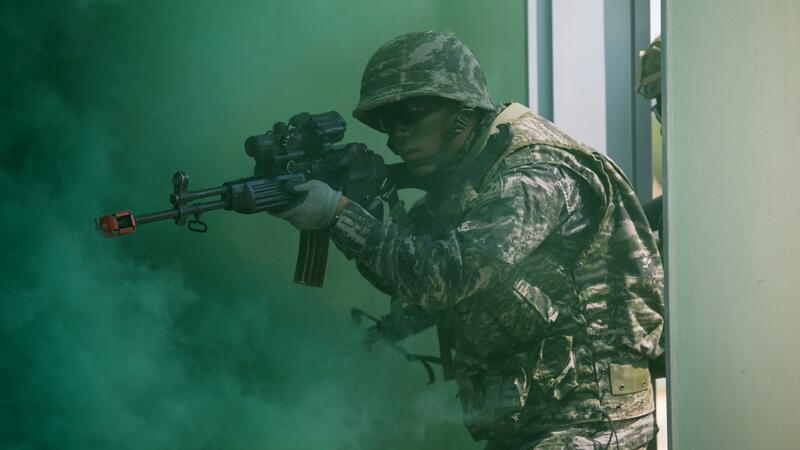 Joint training with Republic of Korea and United States forces are a point of tension on the peninsula. The timing may also imply the effect of the sanctions and increasing pressure, with Olympic participation providing the regime the opportunity to build domestic morale and support. Following talks on the upcoming Olympics, the DPRK uploaded a propaganda video via DPRK Today, spinning the recent talks as part of its reunification initiative. Furthermore, the DPRK plans to hold a military parade marking the 70th anniversary of the Korean People’s Army on February 8th, only a day before the Olympics are set to begin. With evidence showing that Russia and China had recently provided missile technology and components to the DPRK and that the latter is continuing to shirk sanctions and supply North Korea with oil (more information here as well), Seoul should realize that it's a player in a game that is far greater than the Korean Peninsula. South Korea’s recent efforts to maintain the peace and avoid war, while noble, won't achieve reunification and are highly unlikely to end DPRK provocations, displayed recently by the DPRK’s unwillingness to discuss denuclearization during the current inter-Korean talks. Placating North Korea only serves to continue the cycle of extortion and put South Korea in a consistently disadvantageous position when negotiating with North Korea, who sees the concessions as an easy-to-manipulate sign of weakness. Rather, Seoul should stand firmly with its allies and call Kim's bluff that “North Korea's weapons are only aimed at the United States, not our brethren, China or Russia”. 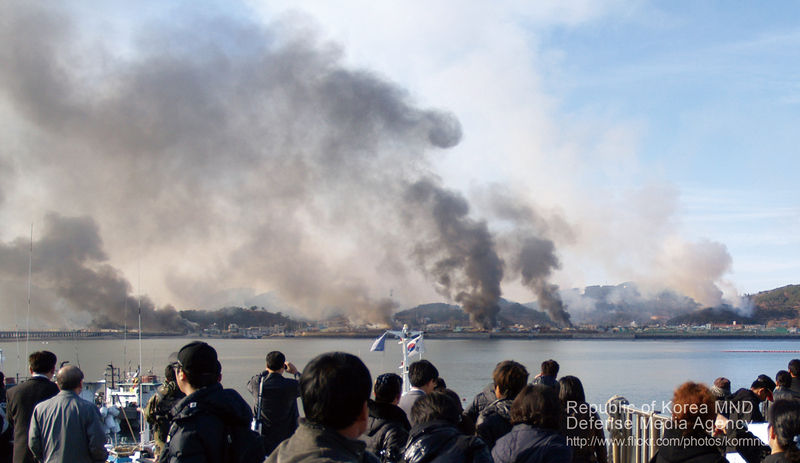 Limited artillery attacks such as those that occurred in Yeonpyeong in 2010 are a small price to pay in comparison to denial of aid that could hasten the demise of the Kim regime. While the death of innocent North Korean civilians from famine is unfortunate, much worse is prolonging a regime that could reignite a war on the peninsula that would have an even higher human cost. Under the Constitution of the Republic of Korea, North Korean citizens are also recognized as South Korean nationals. This means that the South Korean government has an obligation to protect North Korean citizens from the human rights abuses of the Kim regime, which the South Korean government could do by selecting options that would lead to regime change. What is needed to resolve the crisis is not to address the DPRK directly, but for the US to reach a deal with China, who uses North Korea as a buffer between itself and US forces in South Korea, a well as a regional ally. Combined pressure from the two world powers appears to be the most effective way to change the DPRK’s course. However, this would require China to be earnest in its efforts. To achieve this, the US would need to offer China something that would make the possible instability and North Korean refugee inflows to China with it, two major events that China seeks to avoid. The US and China could agree to "Finlandization," resulting in the unification of the Koreas under a democratic government at the cost of the removal of US military forces from the peninsula. This ends the conflict while also addressing Chinese concerns of US military forces so close to China. The US would then have troops freed up for operations elsewhere in the world and a unified Korea would be a more profitable trade partner for China in the long run, in comparison to trade with the two Koreas separately. As economic prosperity is one of the Chinese government’s primary initiatives, this could prove a lucrative opportunity. However, this arrangement would require a rare moment of the US and China setting aside pride and possibly losing face with their respective allies and partners. Another possible agreement would be the replacement of the Kim regime with that of a junta, either from a coup resulting from the combined pressure of the US and China or following Kim stepping down from power. For Kim to agree to step down, he and his family would have to be guaranteed safe passage and immunity from prosecution, something that China would have little problem agreeing with, but difficult for the US or South Korea to stomach. Furthermore, such a junta would be pro-China and much more predictable and controllable for the Chinese than any of the past Kim regimes. This puts the US in a difficult situation in the East Asia, while increasing Chinese power and influence in the region. These things noted, it is also important to note that a junta presents more of an opportunity for democratic progress in North Korea than the Kim regime, as a junta would most likely seek to improve the North Korean economy and shy away from both strict controls and a cult of personality, much like post-Mao China. Such developments improve the chances of peaceful reunification, which is the preferred resolution for both Koreas, though with different results. An inspection of venues for the proposed art performances by a seven-member North Korean delegation was cancelled late Friday and abruptly moved from Saturday to Sunday with no explanation, a move that is characteristic of the DPRK, with regularly flouts previous agreements and attempts to dictate terms. With this and their continued pursuit of improved nuclear capabilities in mind, Seoul should know that North Korea doesn’t keep its word. With this in mind, it is in South Korea’s best interest to focus on the bigger picture and forgo short-term gains that risk stymying long term improvement of the situation on the Korean peninsula. Eric D. Rowe is an M.A. Candidate in the Security Policy Studies (SPS) program at The George Washington University’s Elliott School of International Affairs. His concentrations are in Defense Analysis and Strategic Concepts/Military History, with a regional focus on East and Southeast Asia. Eric’s other research interests include irregular warfare and non-democratic states.